Thanking someone for something is always a sign of good manners, and it shows that you value that person’s actions and you are grateful for it. In this regard, a letter of thanks is essential if someone has donated a part of their fortune to your funds because the contribution of money to your organization or cause or activity is an important act in itself. 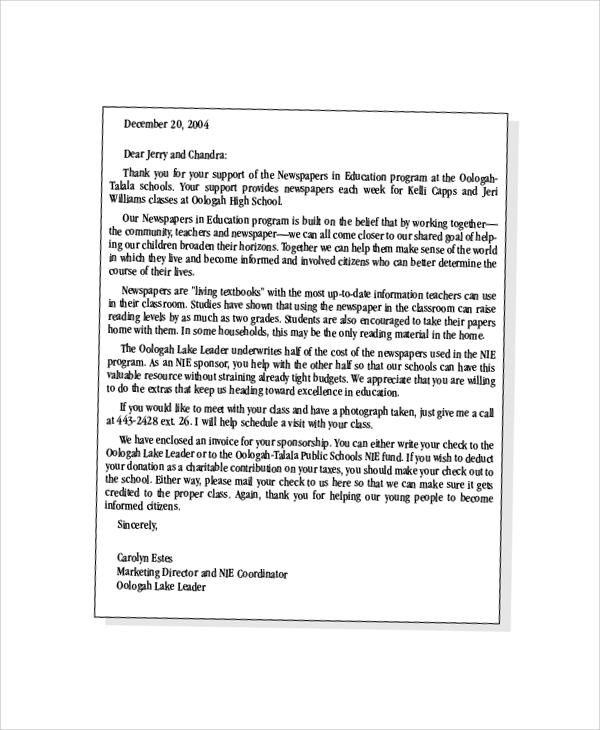 The following is a list of Sample Thank You Letter templates. 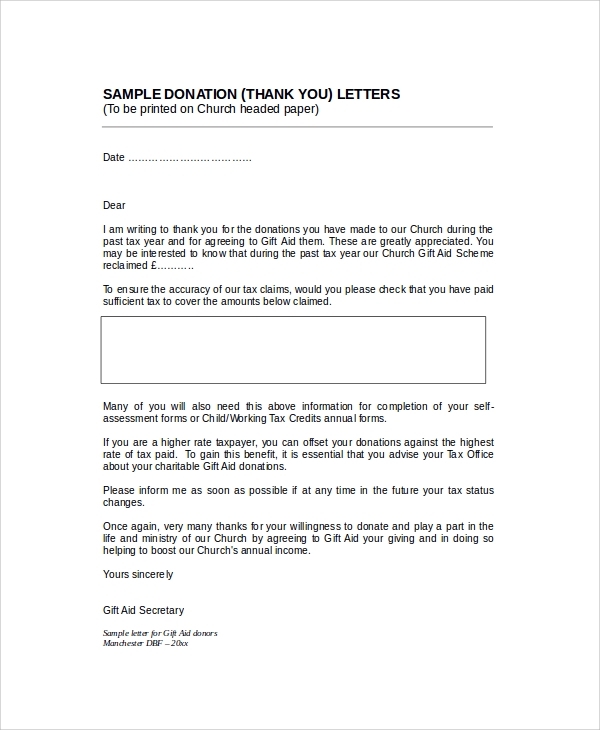 When a person donates money to the church funds, a thank you letter is sent to them since the church fund would be utilized for the maintenance and upkeep of church property. Charities are the most common cause of donations. 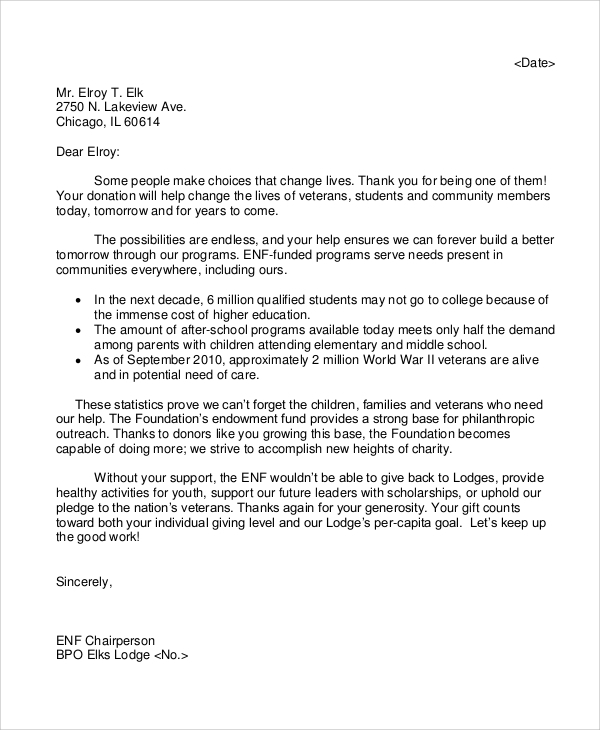 A Thank You Letter is sent to a donor who donates a part of their money to a charity or charitable institution. Gratitude is one of the most significant gestures that exists in human communication. It bodes well on the organization or individual responsible for looking after the cause or event. 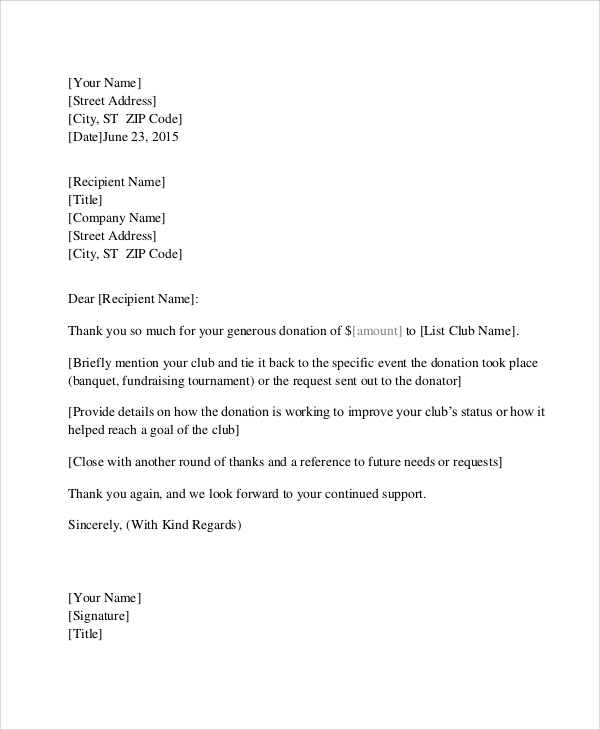 So, if an organization donates some amount as a donation to the cause, charity or non-profit event, it is useful to compose a letter of thanks and send it to the concerned person or organization. The Thank You Letters are thus useful insofar as it helps in creating goodwill and building bridges between the organizers and the donors. Thus, thank you letters come in really handy for thanking the concerned addressee. Donations are made to causes that don’t have a profit motive as the driving factor for the activity. 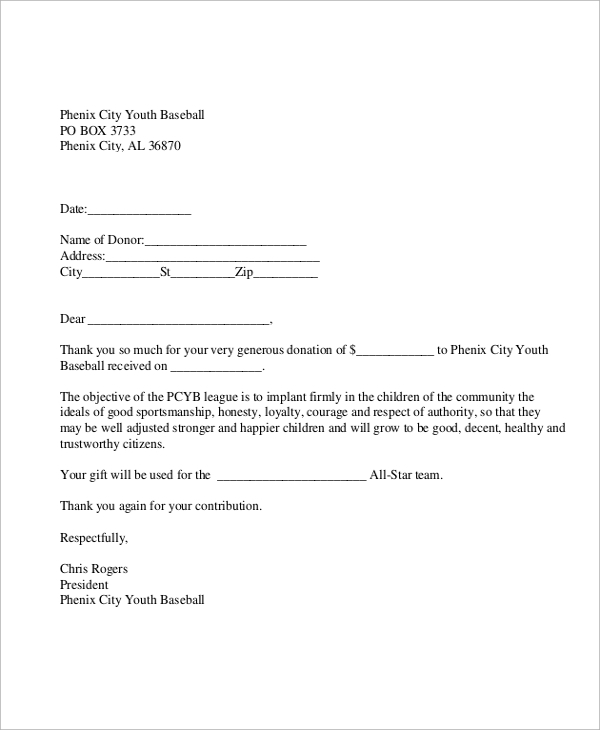 A thank you letter should be sent to thank the donor. When an organization is associated as a sponsor to an event or a cause, it donates an amount of money to that cause. A letter of thanks is sent accordingly. 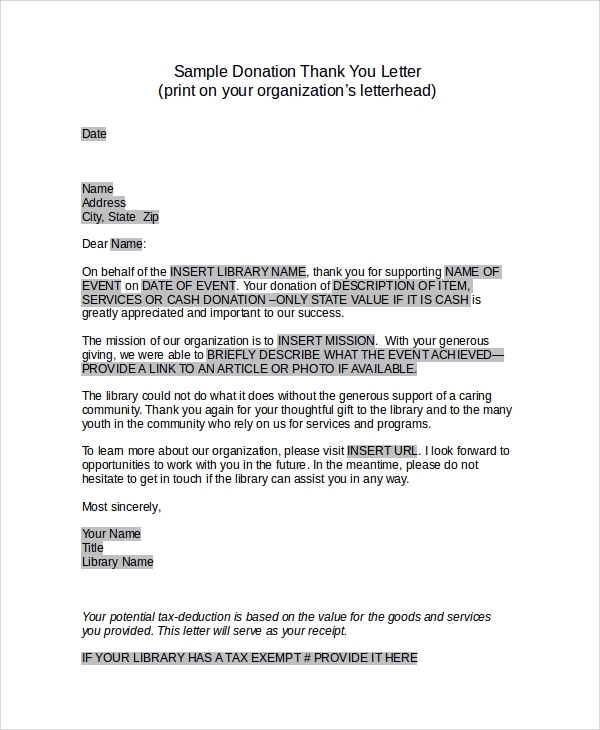 The sample thank you letters are aimed towards organizers of charitable events, fundraising activities or another kind of non-profit acts which requires donations and sponsorship from other individuals and organizations. 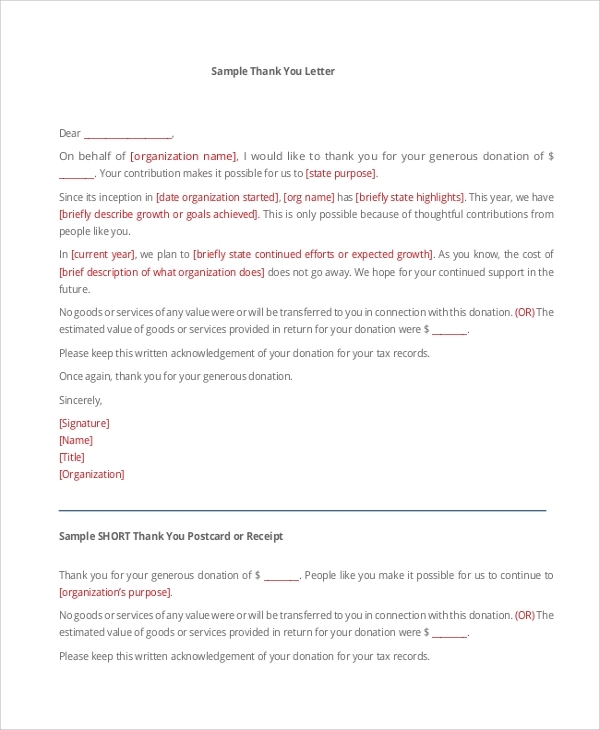 Knowing how to compose and personalize each Thank You Letter so as to address each donor personally is the key towards building enduring professional relationships and raising the amount of goodwill as far as the organizers are concerned. Thus, the knowledge about drafting impressive thank you letters are inherently important because it helps the organizers to appropriately show its gratitude to those who had helped by donating money when it was needed. We have a large number of sample Thank You Letters at our disposal. Select the one that suits your needs the most. Our templates are completely editable, so you can edit the information you want to insert into the template. Or you may use the templates as a guide to composing your letter.